The precepts of socialism and communism endure palatably insofar as they apply to families and communities linked by the organic bonds of mutual interest. By the nature of their character, these precepts sound agreeable to the extent that we embrace them in our own lives within our own respective families and communities. Where that mutual interest begins to wane, however, we witness either abuse of — or, alternatively, enslavement to — the system erected to execute those ends. Naturally, people desire optimal outcomes. Due to this proclivity, individuals tend to overstate their commitment to idealistic ends. Realistically, individuals make tradeoffs, where they express preference (on the margin) for certain applications of their time, labor and capital. Due to the enormity of civilization, the infeasibility of meeting and much less caring about every individual, persons must make decisions to optimize the enjoyment of their lives. The glaring oversight committed by this statement is multi-faceted, but primarily emanates from the implausibility of reliably gauging either needs or abilities. The principle also fails to even remotely justify the unstated assumption that each person is somehow obligated by the needs of another, that one’s perceived ability systematically enslaves him to those reported needs. This concept also overlooks the system’s influences over a dynamic, not static, environment where individuals make decisions based on incentives in order to optimize their personal outcomes. In the real world, as dictated by the law of least effort, individuals can improve their lot in life by increasing their productivity over costs or, alternatively, by simply minimizing their present costs. Of course, one of the primary costs of living — which is grossly underreported — takes the forms of effort and laborious self-application, which can be readily reduced in the face of inconspicuous losses, whereby the new system has eradicated or drastically limited the monetary (or numerical) incentives for work or even healthy habits by obscuring the opportunity costs and obfuscating the manner in which they are paid. 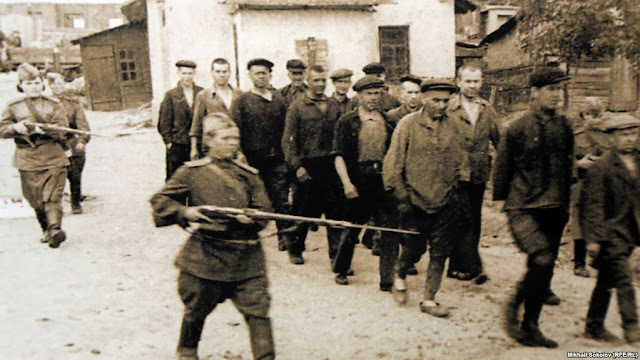 Leftists will never say it, but their ultimate objective is to replace the accountability features of the price system with those of force and coercion, which they remarkably confuse for compassion when it suits their agenda; this was illustrated recently by a series of revolting remarks related to the Soviet Union's Gulag forced-labor camps, where roughly 1.7 million prisoners perished (of a total of more than 18 million who were sent there) over the 23-year period between 1930 and 1953. So while the general population may ultimately find itself relatively “equal” in terms of basic stuff, at least as measured by the venerated Übermensch, they will be radically deprived in terms of gratification and fulfillment. The average Leftist tends to confuse the former as the targeted ends of human life, whereas it is merely the means to the latter which serves less conspicuously as the objective of every man and woman on earth. Leftists would have you killing yourself if they were philosophically consistent. At their very core, they detest the human species and every shortcoming and insecurity it exposes about them personally. In their desperation to defend their distaste for humanity, they conveniently develop non-sensical reasonings to conceal their hatred. These twisted reasonings or ramblings — inextricably contemporary and uniquely compelling to other discouraged misanthropes — pass as philosophical in their time, when they’re fundamentally nothing more than complaints ignorant of the physical laws of the world, aggrandized by lofty, deliberately-imprecise language, distributed by political propagandists and readily consumed, unquestioningly certified and proudly marketed by the despairing masses eager for relief, whatever the costs or the efficacy of the purported cure. For these reasons and many others, which hide between the lines and beneath the text of every honest exposition related to Leftism, the road thereto is tantalizing and insidiously perilous. As with an approach to a prominent mountain in the distance, it appears far closer and far easier to summit than it really is. In the case of this mountain, however, it’s an illusion beyond a cliff that the caravan will see only when it’s all too late to turn back. Ultimately, just as with the majestic mirage in the distance, the draw of Leftism invariably prevails over reason as it’s appraised for its projections instead of its predictable results.